The timeless charm of a Mediterranean garden perfectly complements a Jay Madden-design seashore home offering bayfront views from virtually every room of this one-off-the bay home in North Beach. The sunken living room is done with Travertine flooring while custom French tile graces the baths. The kitchen is a delightfully designed dream of granite surfaces and top-end appliances. Airy, open, and bright living spaces, mahogany decking and private hot tub, four bedrooms and 2.5 baths provide a refreshing retreat from the everyday. Upstairs you'll find a sumptuous master suite over-looking the water with whirlpool tub and private deck with trellis. Enjoy bird watching, boats a drift, and glorious sunsets. 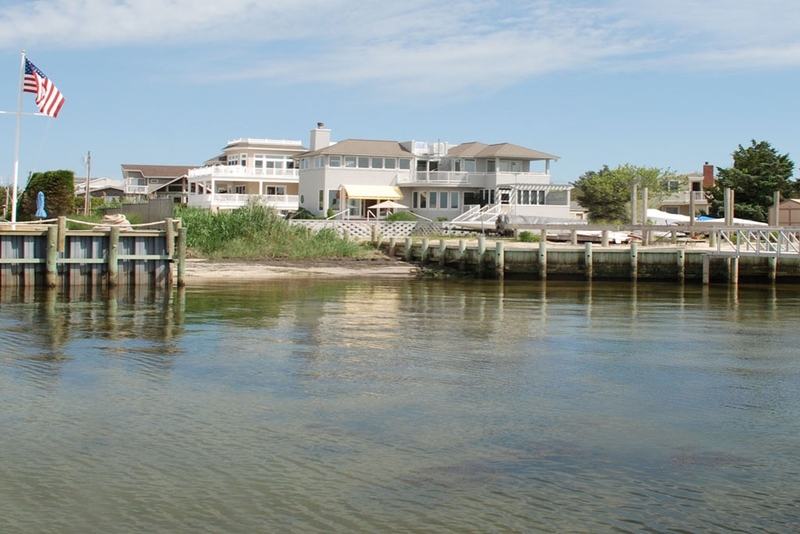 Deeded ocean and bay access. An acquisition that you will treasure.